Festivity is in the air and we couldn't be more excited! Diwali 2018 is around the corner and Indians all around the globe are looking to celebrate the grand festival with much fervour on Wednesday, 7th November, 2018. It's that time of the year when gifts are exchanged and families and friends bond over delicious meals. Needless to say, Diwali is incomplete without traditional sweets and mithais that are enjoyed and binged on. 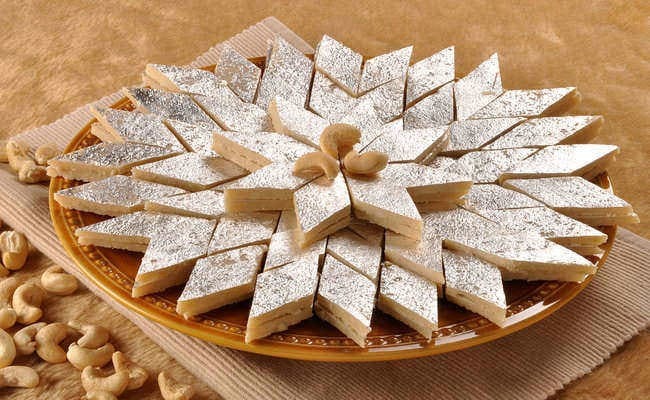 We have all been guilty of overeating Diwali ki mithai at some point or the other; be it kaju ki barfi, patisa and soan papdi or motichoor and besan ke laddoo. 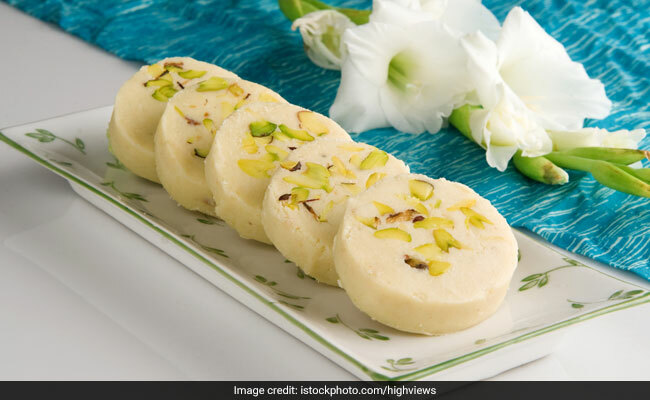 Thanks to this love for mithais, halwai shops around the country are packed with a wide variety of sweets; customers are literally spoilt for choice! Ever wondered how these shops are able to meet the increasing demand of these mithais? Have you thought of the ingredients that go into a bulk of the sweets you buy? Unfortunately, many sweetmeat shops often compromise on the quality through adulteration, especially in milk-based sweets. According to Ashwin Bhadri, CEO of Equinox Labs, "Festivals are around the corner and people are ready to gorge on milk sweets. Being in the food business for almost more than a decade, it saddens me that these adulteration practices are still very much prevalent in the market. 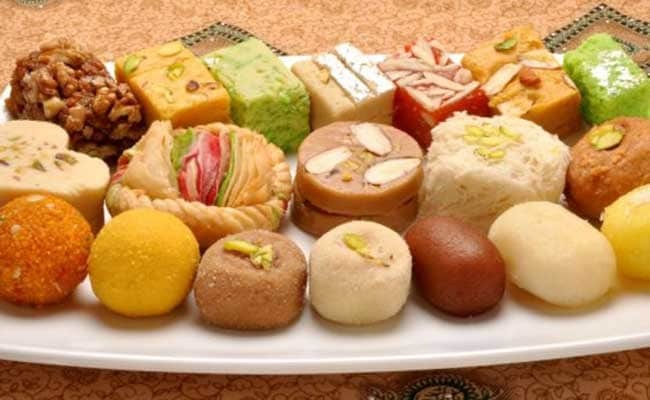 Since sweets are the most loved food items during festivals, unethical adulterators can deliberately add substances that can cause health problems." What are the possible adulterations milk sweets, milk and other sweets go through? As per Mr. Bhadri, "Some of the ingredients that go into making sweets are khoya, varak, ghee, oil, milk, artificial flavours, and colours. All these items can be deliberately adulterated for monetary gains. Milk can contain something as harmless as water but could also contain chalk, urea, soap and chemical whiteners. Khoya can contain paper and starch. Vark could be aluminium foil and not pure silver. Ghee could contain Vanaspati or even animal fat." Here are a few check-points that can help you identify which sweet or mithai is adulterated or unadulterated, as suggested by Mr. Bhadri. Most sweets have vark (silver covering) on them. However, sellers are replacing vark with aluminium foil. Consuming it can cause serious stomach infections. Touch the top of the mithai gently with your finger and if it comes onto your finger, chances are, it is fake. Always taste or smell the sweets before buying in bulk. Stale products emit a musty smell and taste slightly sour. Generally, food items such as paneer, khoya, and milk are adulterated with starch, which is used to give a thick, rich texture to sweets. To check the presence of starch mixed with khoya, take a small sample and mix it with water and bring to boil. Allow it to cool and add two drops of iodine in the solution. If the solution turns blue, then it has been adulterated with starch. To check if the milk has water, try putting a drop of it on a polished slanting surface. If the milk is pure, it will flow slowly and will leave a white trail behind it; whereas, adulterated milk with water will flow immediately without leaving a mark. One of the simplest methods to check ghee is to heat a teaspoon of it in a pan. If ghee melts instantly and turns dark brownish in colour, then it is pure ghee. If it takes time to melt and turns yellow, then it may be adulterated. You could also pour some ghee on your palm. If it starts to melt instantly, it is pure and if not, the ghee you are using is adulterated. How to buy the right sweets? It is important to take our own small yet effective steps to combat such issues during festivities. Here are some check-points to ensure you are buying the right product, as suggested by Mr. Bhadri. The first and the foremost thing to look out on any packaged sweets, chocolates, cookies, snacks, etc is the FSSAI logos and the license number. Along with that, consumer should check 'the best before/expiry date', batch/lot number, list of ingredients, nutritional information, which are some things that help you to select the right foods. If you stick to making homemade sweets, make sure you purchase the raw materials from a reliable vendor who has an FSSAI License. Consider purchasing sweets from a shopkeeper who is trustworthy, while also ensuring that the basic hygiene standards of the sweet shop are being maintained. What are the potential risks of consuming adulterated sweets? The risks of eating adulterated sweets cannot be neglected. Even the slightest intake of such sweets is unsuitable and can cause harm. Eating foods that contain saturated fats raises the level of cholesterol in human blood. High levels of LDL cholesterol in the blood increases the risk of heart disease and stroke. Brain and bone disease are caused by consuming high levels of aluminium in the body. It also causes kidney diseases in children. The food colours used may cause allergies and if taken for a prolonged time period can prove harmful. Be wary of what you are buying. Always choose a trustworthy mithai store to pick your favourite sweets. Prefer making sweets at home and avoid indulging a lot from outside. Stay happy and healthy!